“At the name of Jesus every knee will bow, of those who are in heaven and on earth and under the earth” (Phil. 2:10 NASB). rowing up in the rural South in the 1950s, I had cousins named Betty Jean, Barbara Jean, and Shirley Jean (thankfully they too were cousins to each other and not sisters!). In our community, there was also a Bobbie Jean and a Billie Jean. Obviously, “Jean” was a common name then, and families would often call their children by both their first and middle names. My mother named me “James” after a former pastor, with “Edwin” as a middle name, and then nicknamed me “Eddie” after Eddy Arnold—a famous country crooner of that time. Certain names and combination of names come and go, while others remain common. The name “Jesus” has been bestowed on many male children—both before and since the birth of Jesus Christ. Even today in many cultures, devout families name their sons “Jesus,” thus making it a somewhat common name. So what is in a name anyway? Isn’t the difference to be made by the person and not so much by the name? 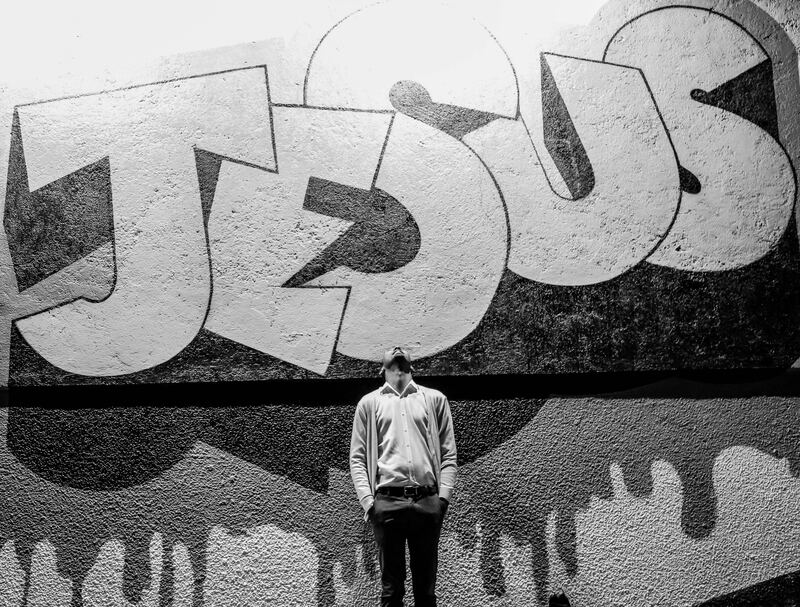 After all, both Wesley and Dillinger were named “John.” Both Livingstone and Koresh were named “David.” If many have been named Jesus, what then is special about that name? Two factors stand out: (1) What does the name mean? and (2) Who bestowed the name? His birth called Him the “Savior, who is Christ the Lord” (Luke 2:11 NKJV). The angel intended this announcement of His name to be a prophetic proclamation of His mission to “seek and to save that which was lost” (9:10). His name has meaning! When a child is born, he or she is given a name. Perhaps the child is named after an ancestor, a parent, or a popular personality. Whether chosen from tradition or by random selection, names are chosen because of their significance or because of a parent’s anticipation for the child. Children of adoptive parents may have been given one name at birth, only to have another name bestowed on them at the time of adoption. Either way, the parent bestows the name. Unlike most mothers, Mary was not privileged to choose the name of her Son—an angel told her what to name Him (Luke 1:31)—yet Paul declared that “God . . . bestowed on Him the name” (Phil. 2:9 NASB). While parents before the birth of Christ may have named their sons “Jesus” in anticipation of the coming Savior, and others afterward named theirs the same in commemoration, God named His Son “Jesus” because of who He was and what He came to earth to do. His name did not become special because of its nuance, commonness, or historicity. Rather, it was because of who bestowed the name that is “above every name” (v. 9) when applied exclusively to the Son of God. by which we must be saved” (Acts 4:12 NASB). While most parents name their children with anticipation as to who they might become, the Father of our Lord gave Him the name “Jesus” not just because of what He would do, but also because of who He already was! It is, then, no stretch to understand why “at the name of Jesus every knee should bow” (Phil. 2:10). He is God! As theologians have said, “He is not God apart from the Father and the Holy Spirit,” but Jesus is God—holy, sovereign, Almighty God! Sooner or later, all of creation must acknowledge Him! Every Voltaire, O’Hair, and Dawkins will bow to Him. Every angel in heaven, every human on earth, and every demon in hell will come to know and ultimately be required to declare that “Jesus Christ is Lord, to the glory of God the Father” (v. 11). The pressing question for each of us is not if we will acknowledge Him, but when. The appropriate choice is to do so now by confessing our sins and being purified by His forgiving grace (1 John 1:9). Jesus’ promise to us is, “Whoever acknowledges me before others, I will also acknowledge before my Father in heaven” (Matt. 10:32 NIV). Conversely, He warns, “If anyone is ashamed of me and my words in this adulterous and sinful generation, the Son of Man will be ashamed of them when he comes in his Father’s glory with the holy angels” (Mark 8:38 NIV). Procrastination in acknowledging Christ is like refusing to purchase a burial plot—it is merely a postponement of the inevitable. Each of us will die, and each of us will bow before Christ and declare His glory. Better to do it sooner than later. For those who gladly choose to accept Him as Lord now, the reward is peace (Rom. 5:1), forgiveness (1 John 1:9), and eternal life (John 3:16). One is never so blessed and wise than when he or she bows before the Master and proclaims that He is Lord. There is also no lifestyle comparable to one that regularly and deliberately demonstrates love for the Lord. Those who procrastinate in their deci- sion and those who blatantly refuse to acknowledge Jesus do so to their own peril. Persistently, the Holy Spirit seeks to draw them to Christ, and Jesus stands ready to open the door for their entrance into His fellowship (Rev. 3:20). Desiring that none be ashamed or perish, and waiting with inexplicable patience (2 Peter 3:9), a loving Savior reaches out to those who are lost. the saved will be judged there). Instead, believers will give an account of their deeds and be rewarded for their service to Christ (2 Cor. 5:10). What challenge this should be for us to bow our knees and openly confess Him now in preparation to gladly do so then! Then I saw a great white throne and Him who sat on it, from whose face the earth and the heaven fled away. And there was found no place for them. And I saw the dead, small and great, standing before God, and books were opened. . . . And they were judged, each one according to his works. And anyone not found written in the Book of Life was cast into the lake of fire (vv. 11-13, 15 NKJV). Jesus is Lord! He has been given the name above all names. To speak His name is a privilege. To bow in His name is a humble honor. Let us do so now, for one day everybody will—whether they want to bow or not.